Barb Raveling has taken the mystery out of overeating. You may not like it though. It's so simple yet so hard to follow through. Luckily she gives you a step-by-step approach, not to losing weight, but to help you achieve victory over lies. I Deserve a Donut - And Other Lies That Make You Eat is a handbook of questions to ask yourself and scriptural answers to help fill you with Truth and Hope. I definitely admit being guilty of believing some of these lies. This is not a "make you feel all better about yourself" book. It's also not a book to make you feel like a failure who has to completely change your lifestyle in order to ever get out of the rut you are in. This is a book about changing your thought process about food, eating, and setting realistic boundaries for your health. For a more in depth Bible study you'll want to look at her Taste of Truth - A 30 Day Weight Loss Bible Study. It would be a fun one to do as a group. 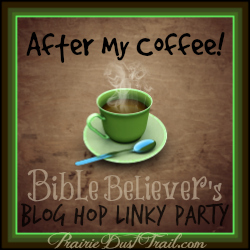 You can find more about Barb Raveling at her Website and follow her on Facebook, Twitter, & Pinterest. I received this product free (I may have won it in a contest...) in hopes I would post an honest review. Regardless, I only recommend products or services I use personally and believe will be good for my readers. See our disclosure policy for details. Hi Dawnita, I tried to message you on twitter, but received something for a tweet validation or something like that and couldn't figure out how to validate it so not sure if you got my message! Anyway, just wanted to thank you for doing this review of my book and also the review on Amazon - I appreciate it! Twitter is a bit beyond me... LOL Thanks so much for stopping by! I love reviewing books that I know my readers are going to enjoy. I hope this blesses your ministry to help others achieve victory in their lives! I really like this book. It sounds like a great resource. 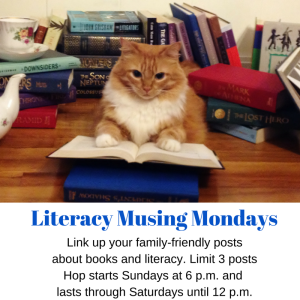 Thanks for sharing it on Literacy Musing Mondays.